The rules for boots are out the window. 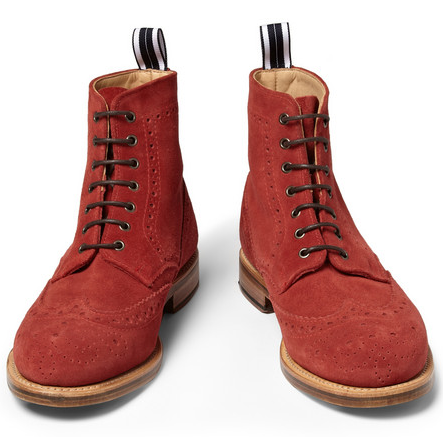 They can be bright and fun without resembling clown shoes. 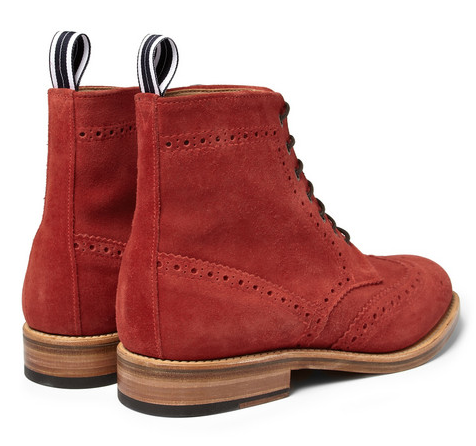 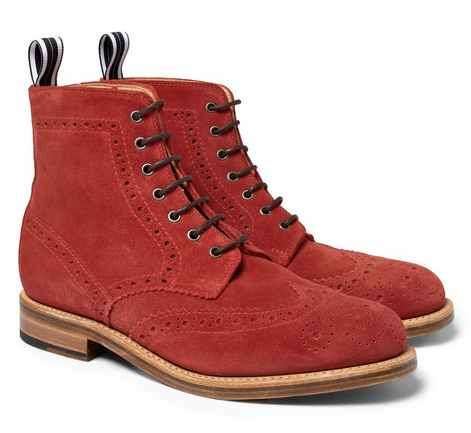 Take for example this Oliver Spencer Suede Brogue Boot. 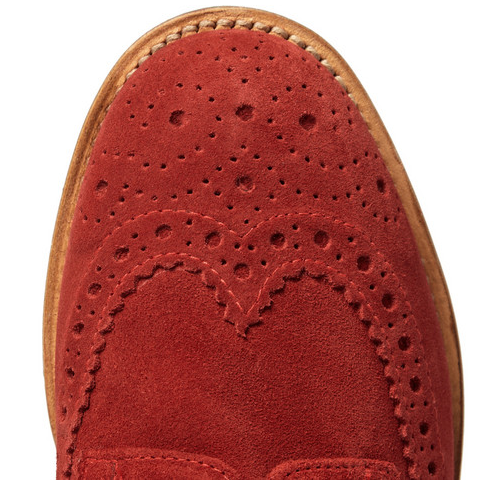 The paled red in this crisp suede is a great warm tone for fall that together with detailing like the brogue tooling and heel pull tabs make for a smart shoe kicked up a notch with subtle vibrancy. 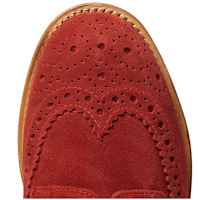 Durability and comfort enter the spectrum with Goodyear welted soles and full leather lining. Available now at MrPorter.com.